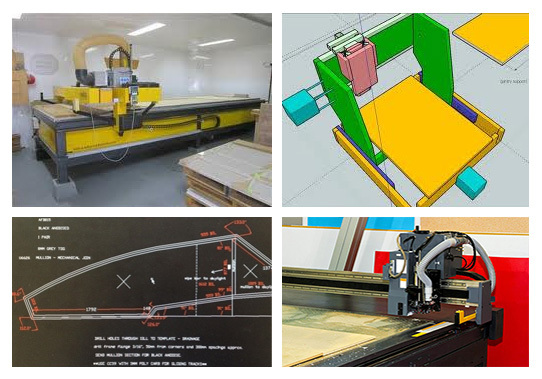 At Alfab we have a state of the art in-house CNC router that we use to achieve high precision cutting of a variety of materials used to manufacture our custom marine products. We are specialists in cutting and shaping polymers, acrylic, perspex, aluminium and mdf particle board. We are able to cut acrylic and other materials to any specified size and shape allowing for completely custom products such as windscreens and windows. This flexibility has allowed Alfab to become one of the biggest boat window manufacturers in Australia.